With the name, the Soccer Mom Blog, it was only a matter of time before we would be invited to review soccer equipment– which is more than alright with me, as I played the sport my entire pre-adult life! 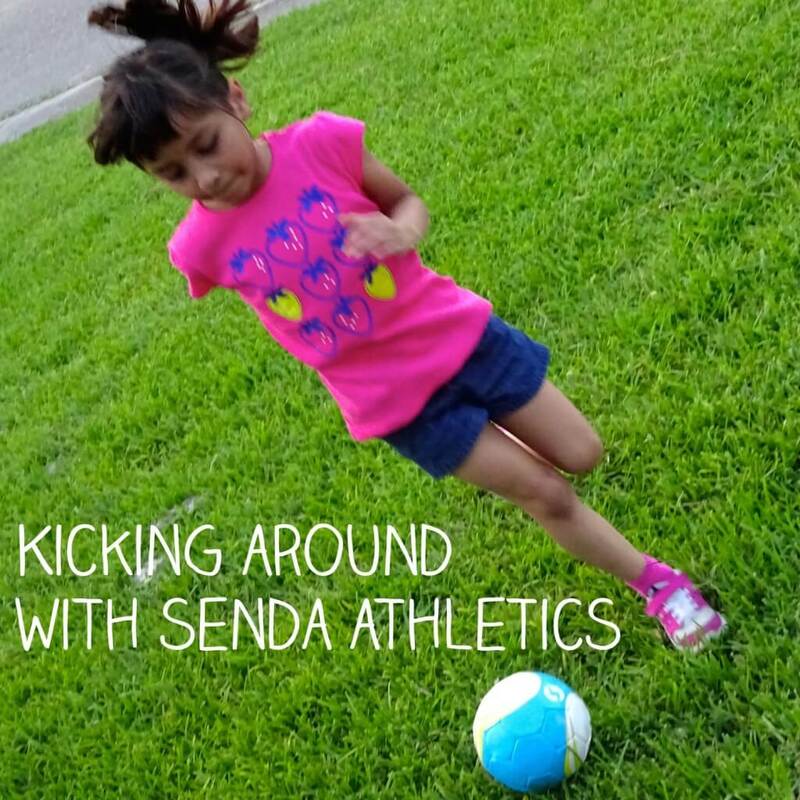 Senda Athletics recently sent us one of their mini Fair Trade soccer balls for the girls to enjoy, plus a few other goodies for mom! Senda Athletics is all about soccer; their mission is “make quality Fair Trade soccer balls that help spread joy and passion while improving the lives of those who play with our equipment and those who make it.” Fair Trade certification ensures that workers are provided a living wage and safe working conditions and that no child labor is employed. 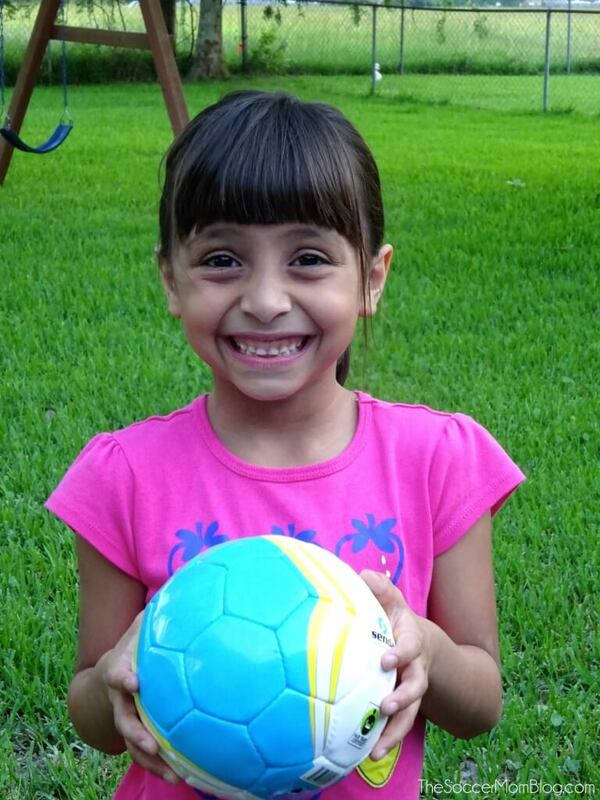 It is a great feeling to know that your new soccer ball is actually providing a better life for those who crafted it. I knew that my oldest daughter would “get a kick” out of a new soccer ball, but my toddler has taken a liking to the sport too — I’d say she might be a natural! The girls have had a blast tossing, kicking, carrying, and rolling the ball all around the yard and in the house (carefully of course!) There is hardly a scuff on its surface yet, so I expect that they will be able to enjoy this soccer ball for years to come. Senda Athletics didn’t forget about mom! They were so kind as to send a fun T-Shirt which had caught my eye when I was browsing their website previously. (I’ve actually had to hide this shirt to keep hubby from wearing it!) 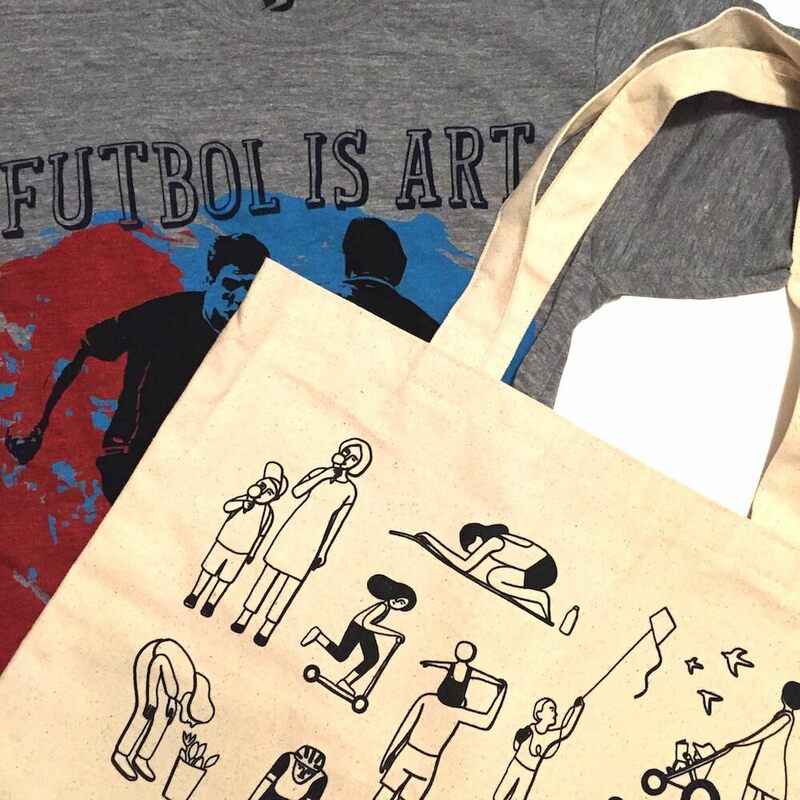 and a durable canvas tote bag that I know will prove very useful. Staying active is a priority in our family and the mini soccer ball has already provided hours of entertainment and exercise for everyone from Daddy to baby! For more information on their products or Fair Trade, visit the Senda Athletics website. You can find Senda Athletics products at Target stores and online at Target.com as a part of the #MadetoMatter collection. Disclaimer: We were sent the products pictured in exchange for an honest review; all opinions are my own. Read my full disclosure policy here. Are your kids starting soccer soon? 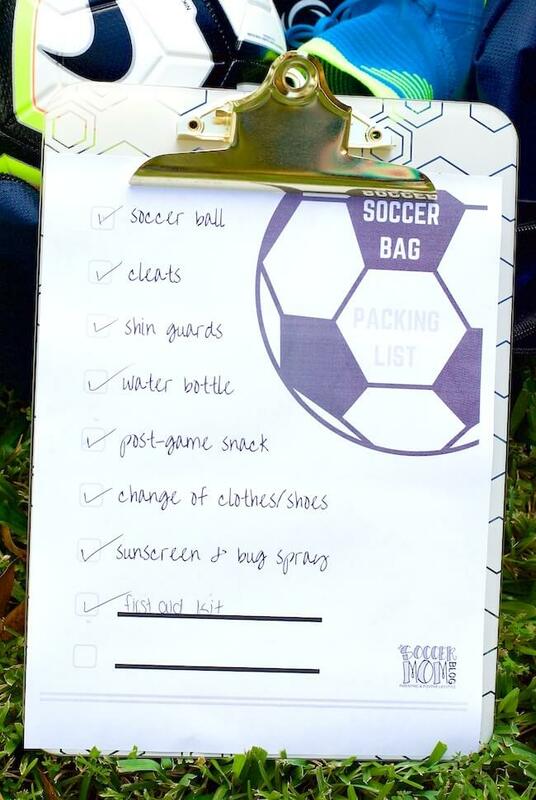 Be sure to check out our guide to what to pack in your soccer bag, including a free printable checklist!